patek philippe aquanaut 5167A-001 Are you planning to buy this best swiss wrist watch watch for your beautiful hands? 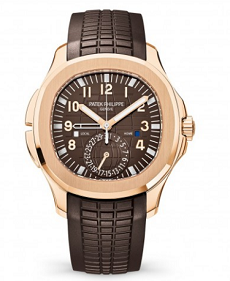 Patek Philippe Aquanaut automatic black dial stainless steel watch is designed for men. This watch is priced at $25,960 and comes with 2 year manufacturing warrenty. Stainless steel case with a black rubber strap. Fixed bezel. Black embossed dial with silver-tone hands and Arabic numeral hour markers. Minute markers around the outer rim. Dial Type: Analog. Luminescent hands and markers. Date display appears at the 3 o'clock position. Automatic movement with 45 hour power reserve. Caliber 324 S C engine. Scratch resistant sapphire crystal. Skeleton case back. Case diameter: 40 mm. Round case shape. Fold over clasp with safety. Water resistant at 120 meters / 400 feet. Functions: date, hour, minute, second. Luxury watch style. Watch label: Swiss Made.